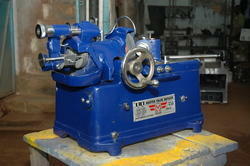 We are a leading Manufacturer & Exporter of Valve Refacer Machine. Our product range also comprises of Fine Boring Machine, Vertical Fine Boring Machine. 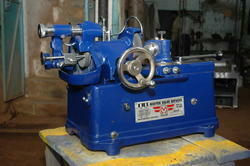 We are a distinct manufacturer of Valve Refacer Machine. These machines are used in different industries in their manufacturing processes. All the products are stringently tested by our quality analysts on various parameters and defective products are removed from the lot. Manufactured from premium grades materials, these machines are in sync with industrial standards. We are one of the noted manufacturers and suppliers of Valve Refacer Machine for Automotive Industry. We manufacture the offered range utilizing utmost-grade raw material and high-end technology. Clients can avail the entire range from us in multiple specifications as per their requirements. Looking for Valve Refacer Machine ?